Overview... a lady-to-be in Victorian England. Estella is an orphan taken in by her guardian, the elderly Miss Havisham, who makes sure that Estella has everything she needs from new clothes to playmates her age. Miss Havisham arranges for a boy named Pip to come entertain Estella, merely because it is Miss Havisham’s “sick fancy” to entertain Estella and be entertained by watching the children at play. Personality… cold and stuck-up. 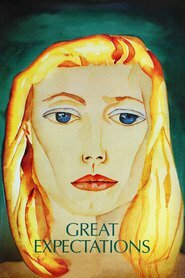 Estella is so young that she doesn’t exactly have a real reason to act the way she does – and perhaps it’s not entirely her fault. Her behavior is primarily learned, especially from the odd and superficial Miss Havisham. Although Estella becomes the object of Pip’s misguided affection, Estella isn’t at the stage yet in which she can return true emotions. Estella's popularity ranking on CharacTour is #3170 out of 5,000+ characters. See our top-ranked characters and read their profiles. This stunning adaptation of Dickens' classic tale was captured live from the Vaudeville Theatre in the West End. 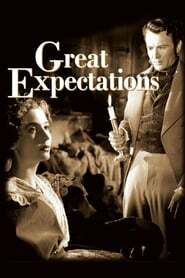 Although Great Expectations has been adapted for film on two separate occasions, once by David Lean in 1946 and most recently by Mike Newell, it has never been produced for The West End or Broadway, widely believed to be too difficult to translate to stage. However, this Jo Clifford adaptation has been universally acclaimed as a triumph on its sellout tour of the UK head of its West End debut. In addition to the production, this version include red carpet arrivals from the February 7 premiere and behind the scenes footage exclusively for cinema audiences.